​Superb, hands-on study kit features 10 important crops, including wheat, corn, rice, cotton, oats, soybeans, barley, alfalfa and more. Includes samples of the crop plants, each individually carded, labeled, and bagged, along with 10 samples of products from each of the featured crop plants. Teacher’s guide is included, offering numerous activities. 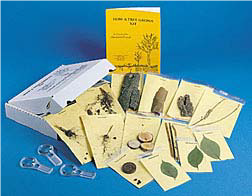 ​In this kit, students look at how a seed grows, how leaves play an important part in food manufacturing, how a tree grows at different points (roots, stems, and bark), and how to measure tree growth. Twenty-one real tree parts and cross sections are used to teach students about chlorophyll, photosynthesis, transpiration, and the distribution network for a tree's food, minerals, and water. Kit contains: three seeds, three roots, three woody twigs, three herbaceous stems, three bark samples, three cross-section samples, three leaf samples, three magnifying glasses, and a teacher's guide with eight hands-on activities. Enlarged for demonstration on the whiteboard. 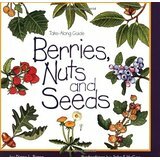 Features realistic illustrations to model up to 6 stages in the life cycle of a bean plant and apple tree. ​This mirror sighting height gauge is great for teaching students how to quickly determine tree heights! Easy to follow instructions are embossed onto its rugged plastic shell, detailing the gauge’s four-step measuring method and height-finding formulas. Learn how seeds travel and then grow. Beautiful cut away of tree parts, including a wide variety of basic information on trees. We have enough copies for each student in the classroom to read along. Learn about forests as Ashley explains all about trees and how they help our world. Beautiful color illustrations and fun facts are included. Children will discover that everyone wins when they conserve the earth's natural resources. Join in the fun and learn all about planting trees and native plants, soil, water, and energy conservation, wildlife habitats, recycling, and more! This little story on the prairie will teach children all about prairie plants. 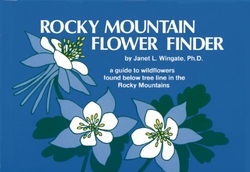 This fun story can also be used as a junior field guide to aid students in identifying the plants in the story, as each plant in the book features realistic illustrations and colorful photographs. 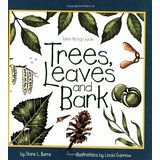 This beautifully illustrated book will help children learn more about tree identification, parts of trees, importance of trees, photosynthesis, and much more! 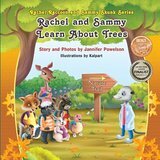 This fun story teaches children tree information and features 14 realistic illustrations and 41 colorful photographs. 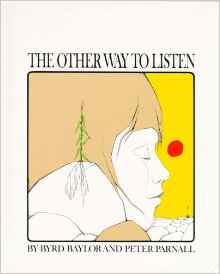 When you know "the other way to listen," you can hear wildflower seeds burst open, you can hear the rocks murmuring, and the hills singing, and it seems like the most natural thing in the world. Describes the activities of various animals living in the Sonoran Desert and their dependence on the saguaro cactus for sustenance. Take a journey to the place of the rain. A young boy's quest for the rain takes him on a journey from the hot, dry savanna to the moist, comforting rain forest. 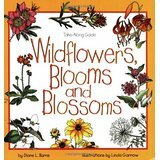 A nature guide with brief introductions and watercolor illustrations. Measures average ungrazed grass height by species. Includes keys on seed identification and vegetation. Color photographs with detailed information. 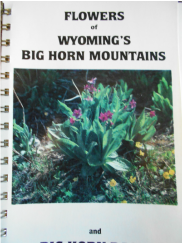 Extensive key for the flora of the Big Horns. A simplified field guide to the common wildflowers of northeastern and north-central North America. 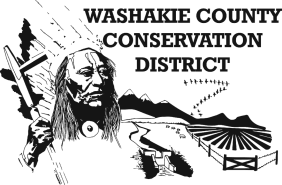 Beautiful full color photographs of trees and shrubs in Washakie County. Descriptions were researched and written by West Side students. Provides fast facts and close-up shots of leaves for identification. 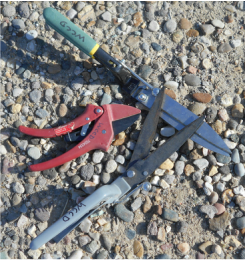 Key to identifying native trees of the Rockies and the Great Basin, in the U.S. and Canada, leaves and needles. Guide for identifying weeds that compete with native plants in the west. Fire can seem destructive, but with this destruction it rejuvenates and brings new life to ecosystems. 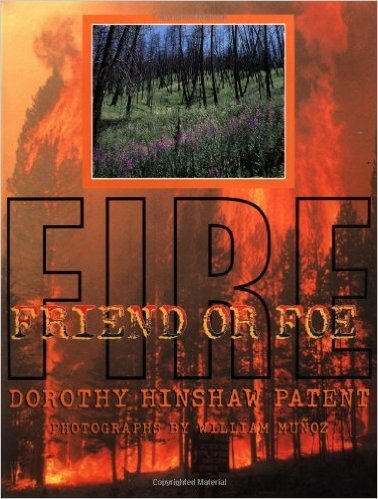 This is the story behind fire, a true force of nature. Beautiful color photographs. Even massively destructive fires are a normal and healthy part of a cycle that helps maintain balance in nature. 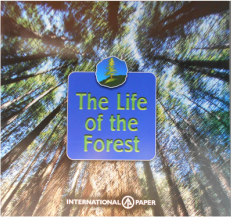 Explore the important role that fire has in keeping our forests healthy. 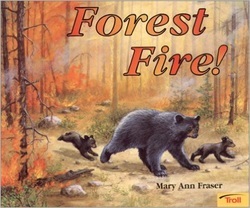 Beautiful paintings and a fascinating story teach children that fire, though frightening and destructive, also brings new life to the forest and its ecosystem. Full color. A raging wildfire can be a major disaster, costing lives and destroying homes. But fires in nature can help as well as harm, clearing forests of dead trees and allowing young plants to grow. Breathtaking photos highlight this surprising look at fire’s part in maintaining the balance of nature.